With little training in “A New Hope”, one wonders how Luke Skywalker is able to use the Force on Hoth to retrieve his lightsaber to fight out of the clutches of the wampa. “Heir to the Jedi”, a 2015 novel seeks to help bridge that gap. While Luke Skywalker never sees Ben Kenobi – or anyone else, for that matter – use The Force to move objects,* Luke Skywalker figures out that telekinesis is something that can be done with The Force. Actually, more than something that can be done with The Force, it seems to be a necessity for constructing a lightsaber. 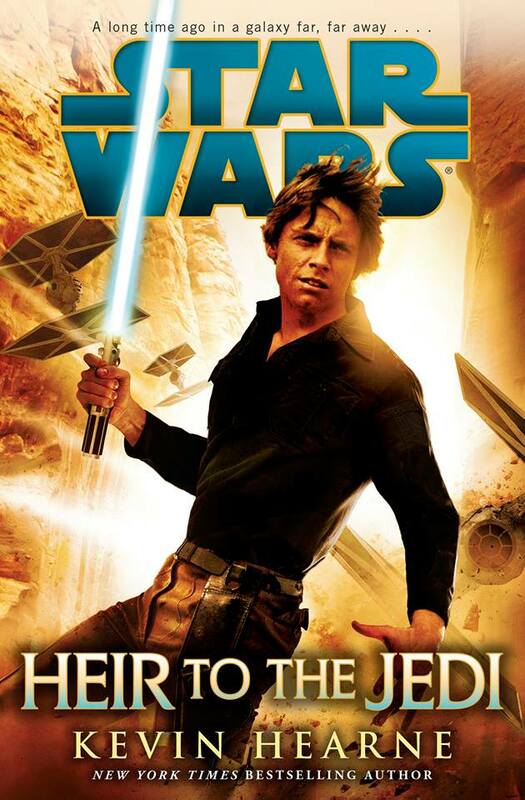 With “Heir to the Jedi”, there is an exciting story to be told and is an entertaining read that takes place after “A New Hope” (I leave it up to readers to find out what transpires in the story). In addition to finding a romantic connection (again, you can read it for yourself), Skywalker also learns to connect with The Force and to discover and to begin to develop his telekinetic powers. The lightsaber wouldn’t work properly now, even if I put it back together; without proper focusing, there was no telling what would happen if I tried to turn it on. It might explode. And aligning those crystals by hand would be impossible – I sensed that it had to be done with the Force, and only through the Force would I know whether it was aligned properly or not. They were wafer-thin slices of crystal, too, a beautiful clear amethyst, and might scratch or cloud with handling. Moving them precisely with the Force would ensure that they remained pristine. The lightsaber’s construction confirmed for me what I had already suspected: Far from being merely a feeling of interconnectedness that could guide your actions or a method of tricking the weak-willed, the Force could be used to manipulate solid objects. However, the skill required to construct a lightsaber – or even put this one back together – was a parsec or five beyond my current abilities. Obi-Wan had never addressed telekinesis with me. It was likely that I wasn’t strong enough to being training in such an advanced field of study. That didn’t mean I shouldn’t try. I could begin with something small and harmless. When I’d first felt the Force on the Millenium Falcon, it had been the barest tickle of a presence in my consciousness and in the air around me that wasn’t attributable to my five senses. Since then, I had reached out to the Force on numerous occasions, and each time, it grew marginally easier to make contact and feel the Force swirl and coalesce around me, a not-quite-tangible, but very real sensation, sort of like exercising and discovering over time that the same routine requires less effort because your strength and endurance have increased. I unconsciously stretched out my fingers toward the fork and stopped, taking the time to consciously note it. Why had I done that? My fingers wouldn’t move the Force; that was a task for my mind. But perhaps that unconscious gesture reflected the focus of my mind. Since my attention was directed at the fork, my hand naturally followed, being used to doing my bidding. Maybe that’s all there was behind Obi-Wan’s gesture at Mos Eisley, then, when he did something to the minds of those stormtroopers. The hand movement wasn’t key to the procedure, but, rather, an unconscious reflection of Obi-Wan’s mental focus. I shut my eyes and let my awareness expand, and the Force took on a stronger presence, as if it were giving me its full attention now. It was probably the opposite – my full attention was on the Force. It built within me and I coaxed it to lift the fork out of the bowl, not a jerk or a leap, but a slow, sustained levitation, laden with noodles that dripped noisily as they cleared the puddle of juices in the bowl, redolent of garlic and peanuts. I felt so cold inside and the power of the Force roiled within me. I had just learned through the Force that we were definitely not invincible creatures, and yet now the Force suggested that I somehow was. I shook with emotion and power, and none of it felt the way the Force had before – warm and supportive and nurturing. I was frightened both by the unfamiliarity of the feeling and because I didn’t know what to do with all that energy. So, throughout “Heir to the Jedi”, we see Luke Skywalker growing in his Force abilities on his own between “A New Hope” and “The Empire Strikes Back”, particularly in discovering telekinesis as a Jedi action. 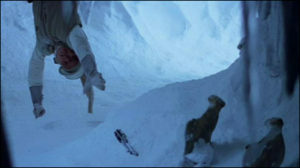 In discovering telekinesis, he develops this power, getting him ready to move the lightsaber in the wampa cave in “The Empire Strikes Back”. *In “A New Hope”, the only time we see any sort of telekinesis is when Darth Vader force chokes Admiral Motti, although Luke Skywalker never witnesses that.